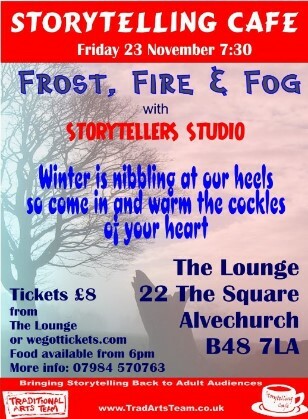 An evening of seasonal stories. Let Storytellers Studio take you on a magical journey through snow covered landscapes. Experience the wonders of winter from the comfort of a warm, cosy cafe. Great cake, great storytelling and a great sociable atmosphere. This is the recipe for a very special night out.